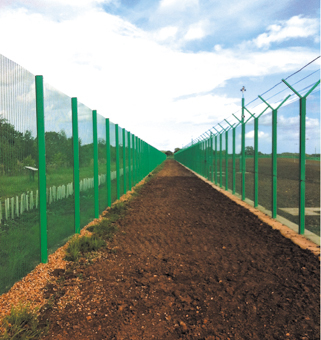 Palisade fencing is a strong, durable product, designed to serve as a formidable barrier against potential intruders. 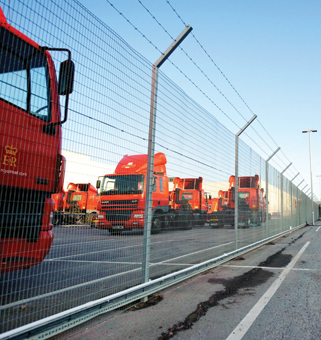 For high security requirements, 358 anti-climb mesh is generally specified. 358 provides an ideal solution for a wide range of security applications both as a visual deterrent and a formidable obstacle that is resistant to being climbed or cut through with conventional tools. 358 can be installed up to 5.2m high as standard and higher if required. 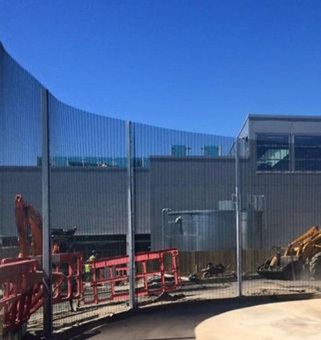 Welded mesh panel systems are used for low-level security demarcation and boundary requirements. These are available generally in a polyester powder coated finish and we offer a variety of heights and security ratings depending on your site and its needs. We would recommend a site survey to identify the best product to suit your needs and budget, call our office on 0117 923 1001 to book a site security review.